In order for Mantis to diagnose several diseases, we first need to produce proteins from the infectious agents that will be present in the blood of patients. 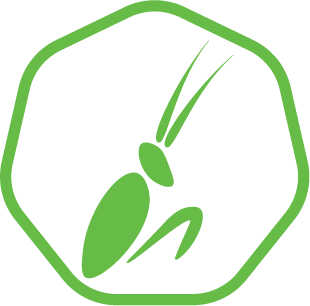 In order to show the modularity of Mantis, selectivity against several diseases was developed. As placeholders, we selected the Zika virus, chikungunya virus and Mayaro virus. 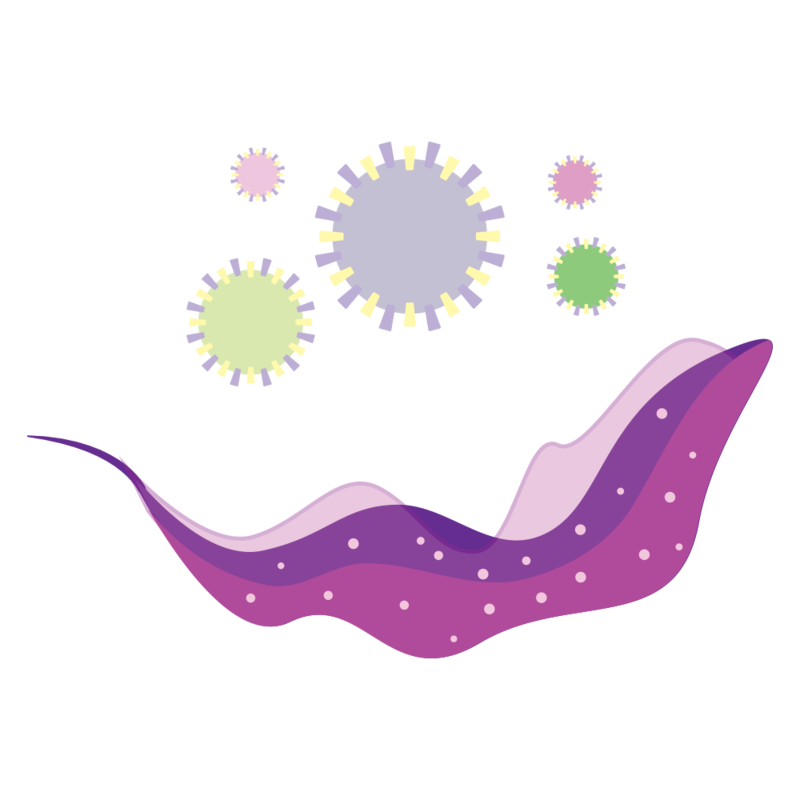 Virus-like Particles (VLPs), the structural proteins in the outer layer of the viruses, were produced in insect cell cultures and purified for further use. To prove that Mantis not only applies to viral diseases, we also developed selectivity against Trypanosoma brucei gambiense, the causal agent of Human African Trypanosomiasis (HAT). Surface antigens from this parasite were expressed in E. coli and purified for further use. The biological tool that allows Mantis to be selective against a particular infectious disease is an affinity body, based on a domain from Protein A of Staphylococcus aureus. This polypeptide is able to bind other proteins. The selectivity of the affinity body is determined by only 13 residues on 2 of the 3 alpha helices. This makes it possible to engineer affinity molecules specific for new targets. In order to engineer an affinity body selective for the VLPs and the antigen from T.b. gambiense, oligonucleotides with a randomized sequence were used to amplify the sequence of the affinity body. Using this technique, we obtained a library of affinity bodies with different sequences in the selectivity region. From this library, selective proteins can be identified through several rounds of phage display. 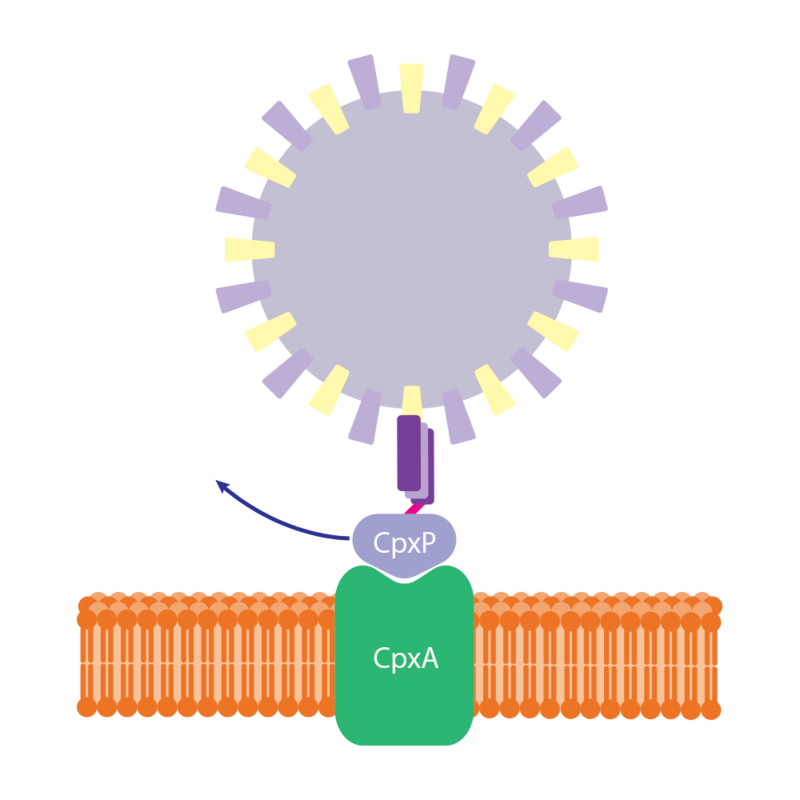 In order to generate a signal upon binding between the antigen and the affinity body, the Cpx system native to E. coli was used. As proof of concept, the protein CpxP, which binds and inhibits CpxA, was fused to a placeholder affinity body specific for human IgG. This system is expressed in the inner membrane of the bacteria, so spheroplasts were produced to allow the ligands in the medium to interact with the affinity body fused to CpxP. To prevent the spontaneous diffusion of CpxP, it was tethered to the inner membrane through a linker connected to a transmembrane Maltose-Binding protein. Once the IgG is added to the medium, it binds the affinity body which makes CpxP dissociate from CpxA. As result, CpxA is activated, gaining kinase activity in its intracellular domain. This domain will phosphorylate CpxR, which, in its phosphorylated form, binds to other phosphorylated CpxR molecules. The homodimer acts as a transcriptional factor, activating a reporter gene. In order to create a fast response, we decoupled the Cpx system from transcription and translation of the reporter gene. For doing this, we used Bimolecular Fluorescence Complementation (BiFC). This method uses fluorescent proteins split into two halves, which are fused to interacting proteins. When the two fusion proteins interact, the two halves of the fluorescent proteins will reassemble, giving place to a functional fluorescent protein again. The BiFC module was successfully integrated with the Cpx system, which allowed us to directly observe the interaction between the two phosphorylated CpxR proteins. Furthermore, we tested several fluorescent proteins whose implementation will improve Mantis' performance by increasing the intensity of the signal and reducing the maturation time of the reassembled protein. The proteins eYFP, mRFP, mCerulean, mVenus and sfGFP were tested as possible reporters. We have also developed an alternative system based on quorum signaling. This system, while slower than BiFC, allows for more robustness. 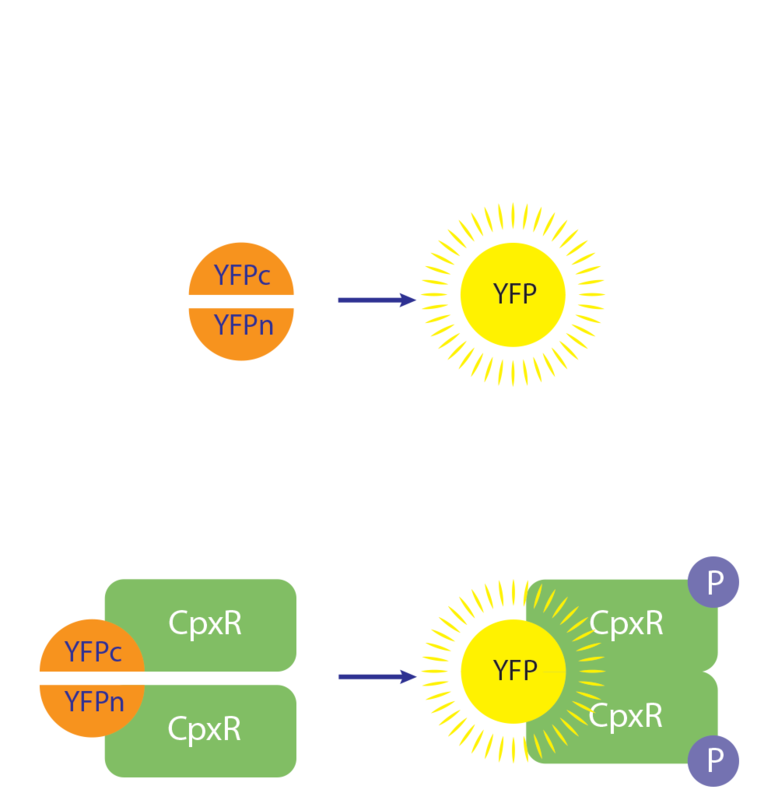 The activation of the Cpx system subsequently leads to the activation of the quorum sensing system. 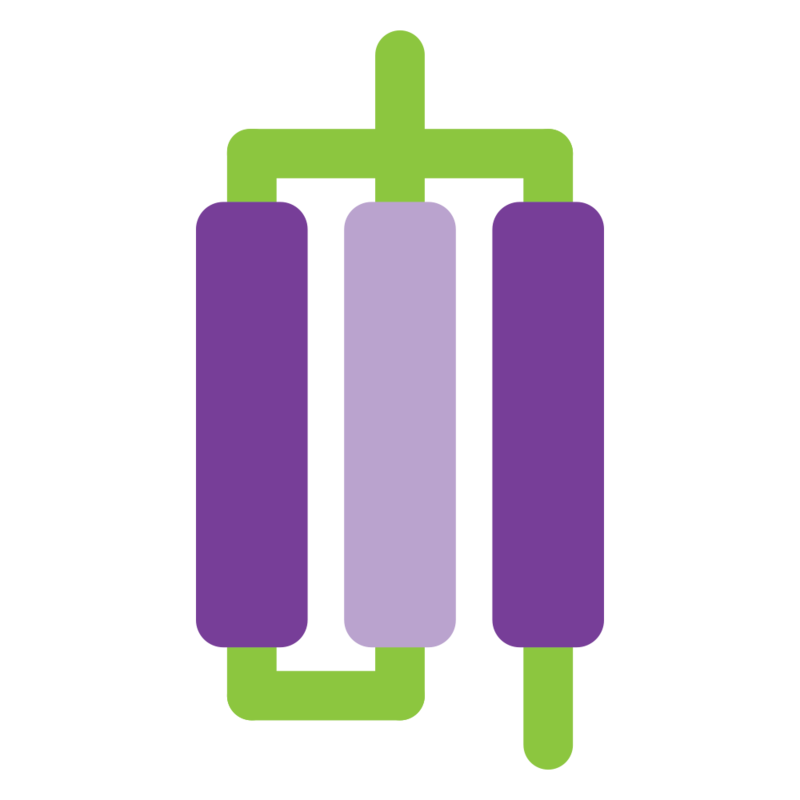 This way, the cell that detects the antigen starts producing homocysteine lactone (AHL), which can diffuse to other cells. AHL has two effects on the cells: On one hand, it creates a positive feedback loop through the induction of the synthesis of more AHL. On the other hand, it induces the expression of the ColE7 protein which leads to the cell lysis. The level of AHL necessary to activate the systems is regulated by a protein that degrades AHL. If enough antigen is detected, the quorum sensing system leads to the lysis of all the cells in the medium. In order to generate a visual signal linked to this lysis, two populations of cells were used. Both populations of cells are the same, except that one of them expresses a TEV protease gene, while the other expresses a gene encoding a fluorescent protein fused to a quenching peptide. 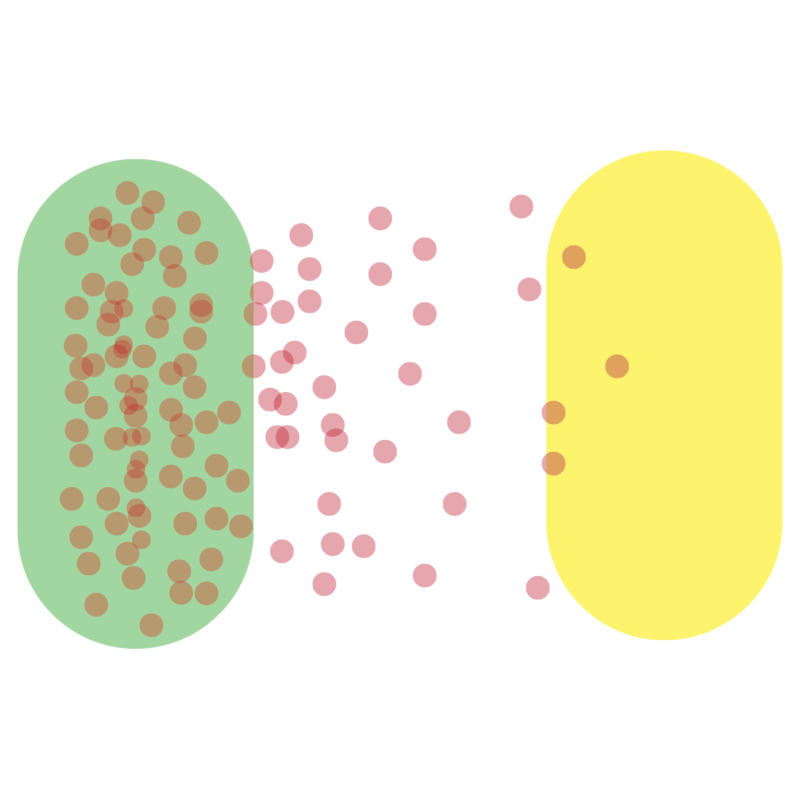 Once both populations are lysed, the two expressed proteins interact in the medium. The TEV protease cleaves the quenching peptide, activating the fluorescent protein and generating a fluorescent signal.